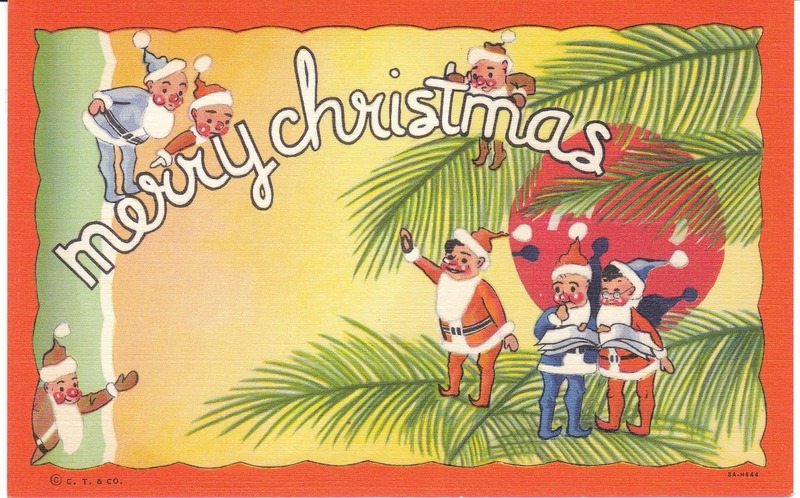 These beautiful vintage postcards are a glimpse of Christmas past. The card below is linen, and unused. I would date it as 1930's to 1940's. It's by C.T. & Co., and it depicts Santa Claus waving as he stands on top of the world globe. Beautiful and unusual imagery! This card is embossed and from 1909. It has a tan shadow at two edges, but I love the simple design of this card -- pastel colors and thick paper with embossed design. This card is my personal favorite. It's a 1930's to 1940's vintage linen card -- check out the Art Deco lettering -- showing a cute little elf family playing on an old fashioned, decorated tree. It's another C.T. & Co. card. 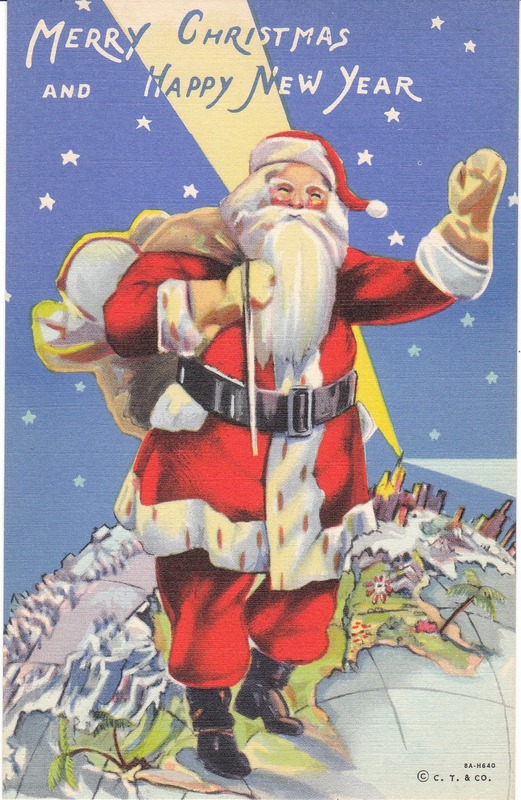 I love Christmas anytime and these are beautiful postcards. You have a wonderful blog which I love reading. Thanks, Deb! I appreciate it. 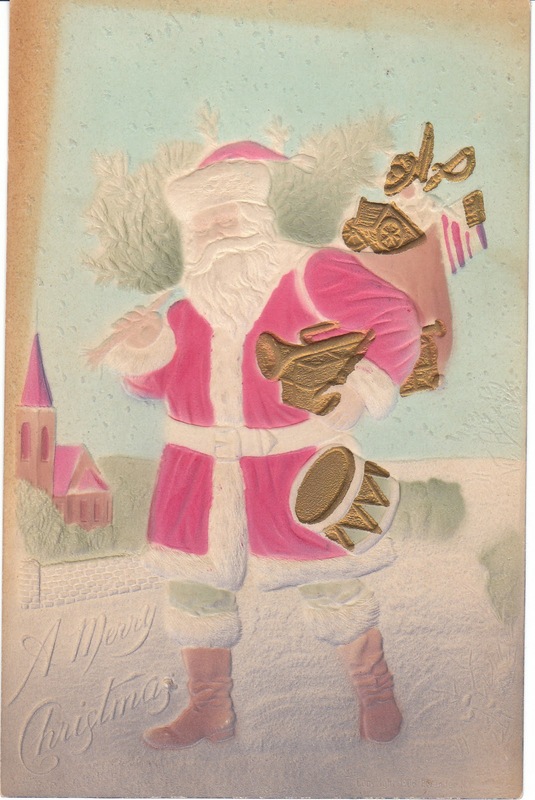 I love Christmas themed items too -- one of my favorite vintage categories.